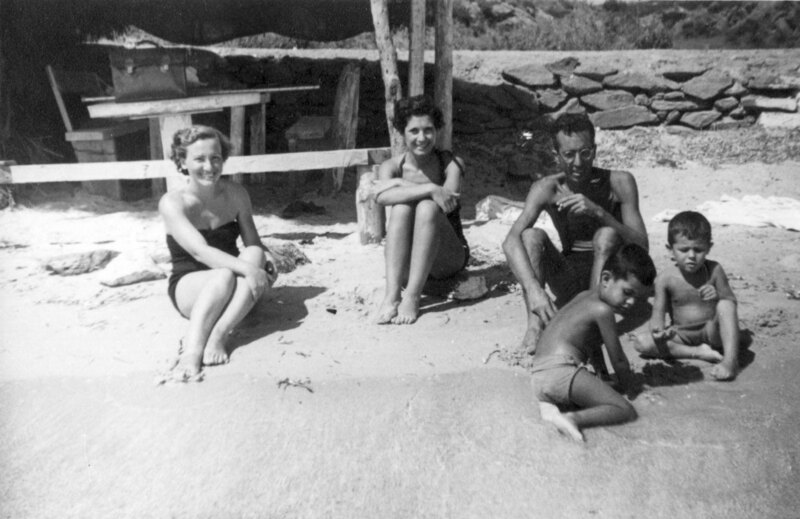 Franca Fadda Silvetti led a most unusual life. 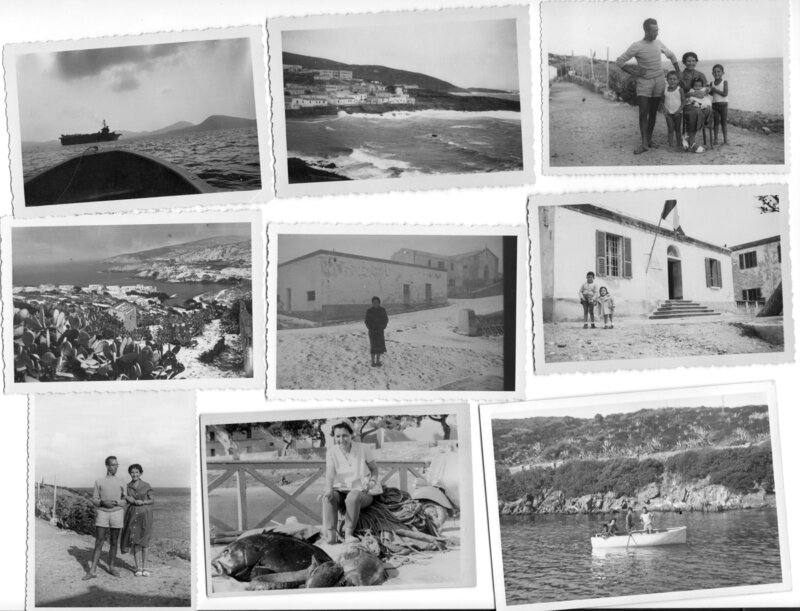 For 33 years, she lived with her family on the island of Asinara in Sardinia, Italy. At the time, the island served as a prison. Silvetti’s husband was the prison’s doctor while she was the only teacher for the island’s elementary school where all the young children attended. 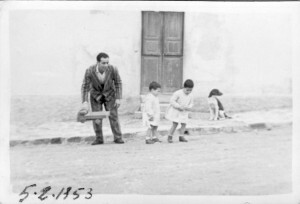 Trusted prisoners were allowed to roam freely around the island to work outside the prison; one of them was her housekeeper and he also took care of her children. 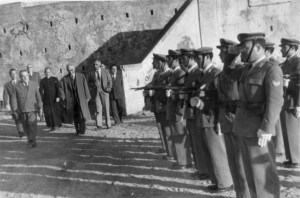 After changing into a high security prison, the island was eventually abandoned and turned into a national park. 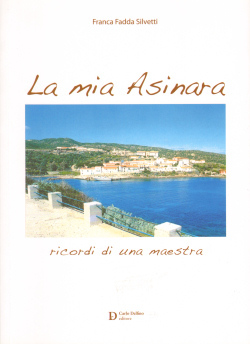 An intriguing visit to this island led me to a book which Silvetti wrote about her memories on Asinara. Her book eventually led me to her. In her book La Mia Asinara, Silvetti describes in detail her arrival on the island. From the first moments, even before she actually stepped on Asinara, Silvetti had to learn to deal with the circumstances of a peculiar life. 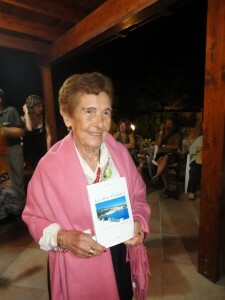 Soon, Silvetti started her new life in a two-floor comfortable house in Cava D’Oliva. All the houses were painted white and they were constructed along a semi-circular area which looked out at the bay. 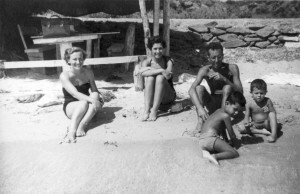 Although initially concerned that prisoners were regularly in contact with the island’s inhabitants, she managed to take this new reality in her stride once her husband assured her that they were safe. She started to teach on the 15th October. 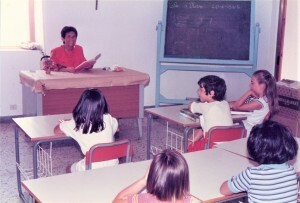 It did not take her long to realize that teaching in Asinara was quite tiring and challenging but also very satisfying. Some of the children lived in the far extremities of the island and they had to ride a carriage which was driven by a trusted prisoner. 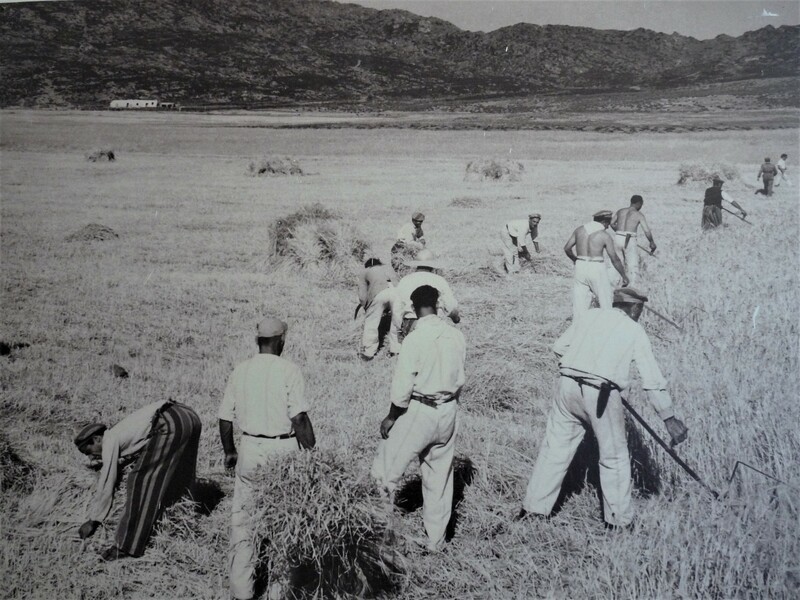 Prisoners formed part of the daily routine of Asinara’s inhabitants. Although it did not rain much on Asinara, its products were bountiful. The inhabitants were almost totally dependent on the island’s products. Meat was provided by the animals which were bred for this reason. Fish were abundant in the transparent water of the surrounding sea. For several years, there was no electricity on the island and people had to use candles and lamps for the night. 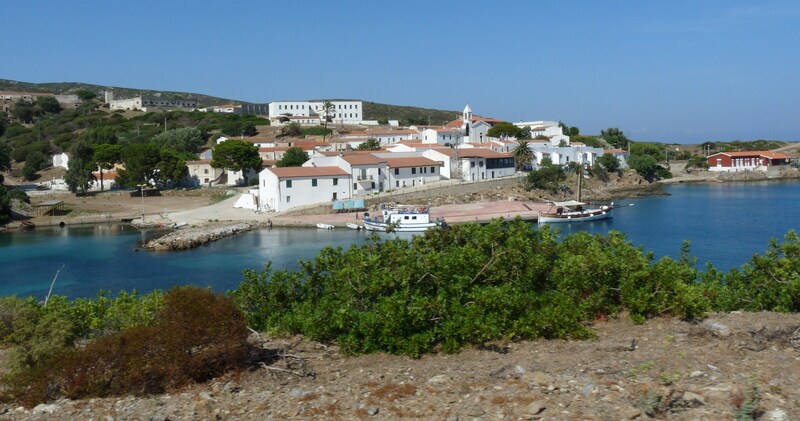 My visit to Asinara was quite stirring and profoundly emotional. After reading Silvetti’s book, I felt an urge to seek her out and contact her. I was thrilled when she reached back to me and responded to my questions. I was curious to know whether her children were influenced by such a life? Did she ever feel like a prisoner herself on such a lonely island? She was 92 years old when I contacted her. She had never returned to the island. Franca Fadda Silvetti passed away at the age of 94 but her memory is still much alive in her inspiring book. “You wouldn’t survive in this business if you are not brought up in it since childhood. 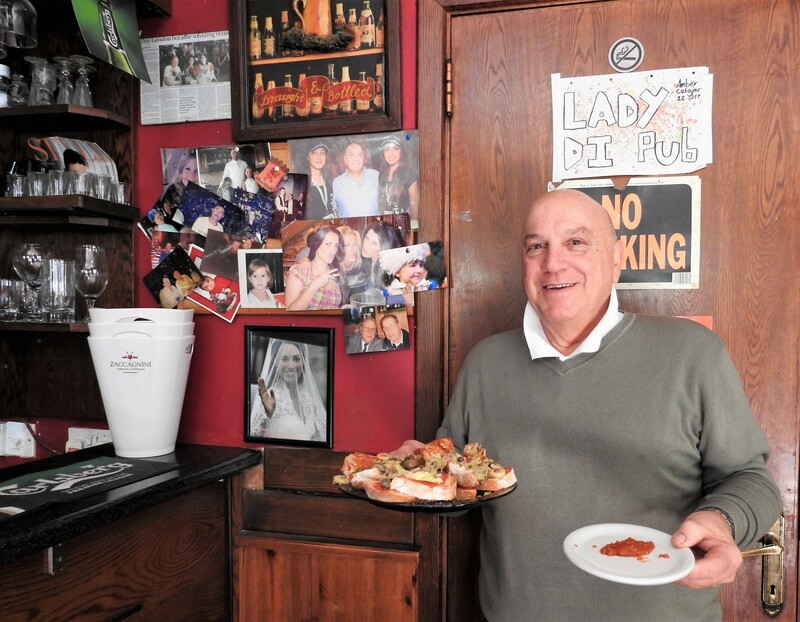 It is just too demanding and it takes up your life completely,” insisted Frankie Cutajar, the owner of Lady Di Pub in Tignè Street, Sliema. “On the other hand, if the seed of entertainment has been nurtured in your blood from an early age, it is difficult to let go of such an engaging and colourful world,” he said as he laughed heartily and poured a tin of golden beer into a large glass for a client. Cutajar hails from Valletta. Two of his family members are the renowned late musician Oscar Lucas and popular singer Joe Cutajar. 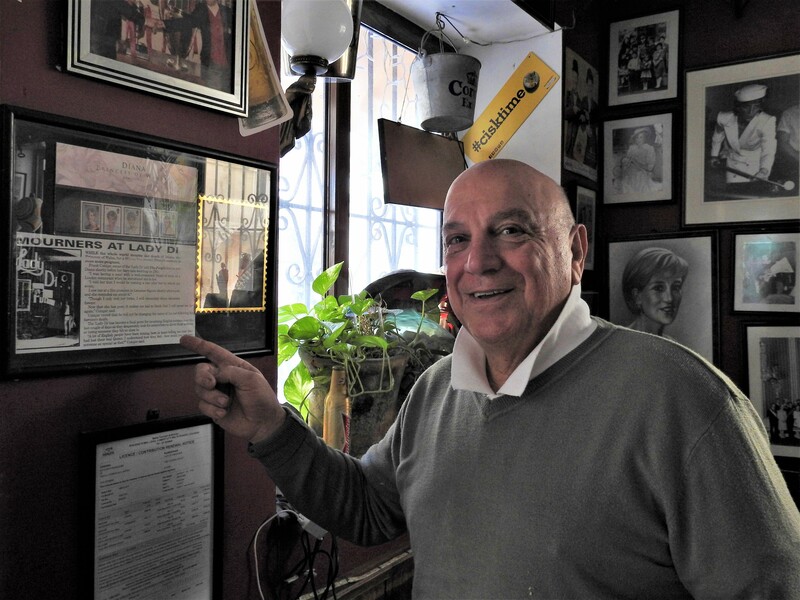 Cutajar got married when he was 18 and kept working at Las Vegas until it closed its doors. 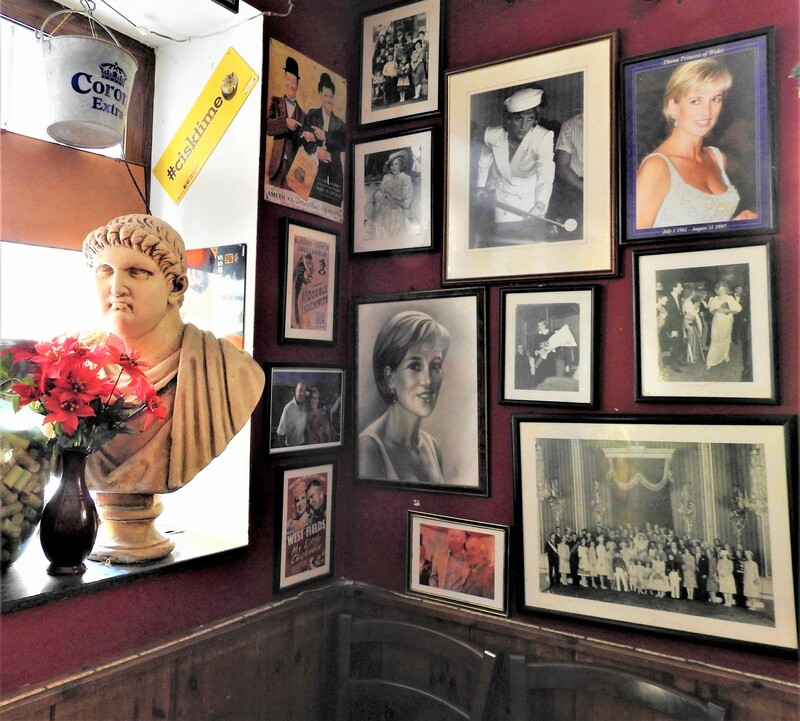 A framed copy of a newspaper feature which hangs on one of the walls narrates how the name Lady Di Pub came to life. Cutajar recounted this incident proudly. Lady Di Pub opened its doors right on Wednesday, 29 July 1981; the day of the eventful fairytale wedding. 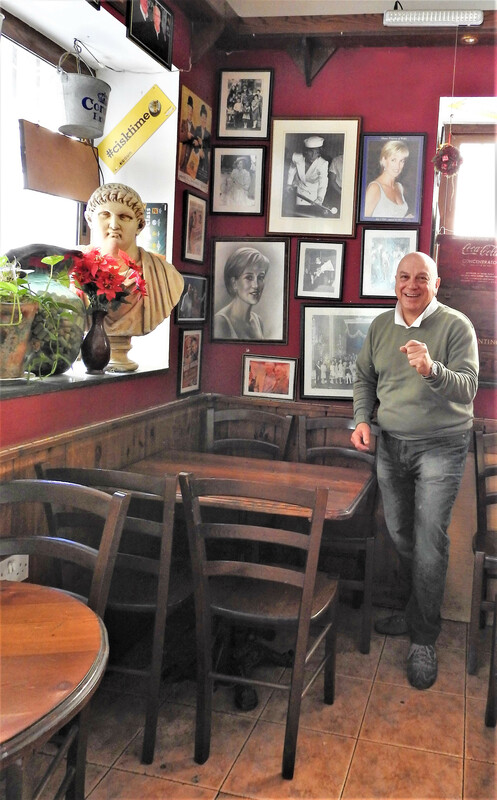 Meanwhile, Pippo’s bar in Valletta was turned into Da Pippo’s restaurant and his brother Harry stayed to manage it. Frankie opted to run the pub in Sliema. 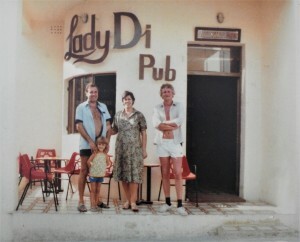 In 2006, the Lady Di Pub was rebuilt after the property was earmarked for development and was demolished. In recent years, Sliema’s architectural context has changed considerably. Huge, inanimate buildings are replacing traditional stately homes, a small number of which still survive in Tignè Street. “Times change and people have to move on with the progress which is generated. Sliema is not Valletta. Whereas Valletta is a historical city of culture, Sliema is a business hub and a touristic area. 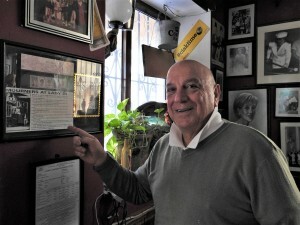 The more modernized it is, the more people it attracts, and the more customers will come to this pub,” Cutajar stated as he winked playfully. Right on the point, Frankie came out of the kitchen with a plate of thickly sliced crusty Maltese bread spread with kunserva, a sweet tomato paste, and topped with olives, onions, lettuce and broad beans. 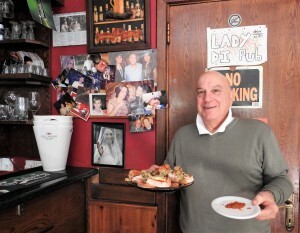 Frankie starts his day at around 8:30am by doing errands, including buying fresh bread. 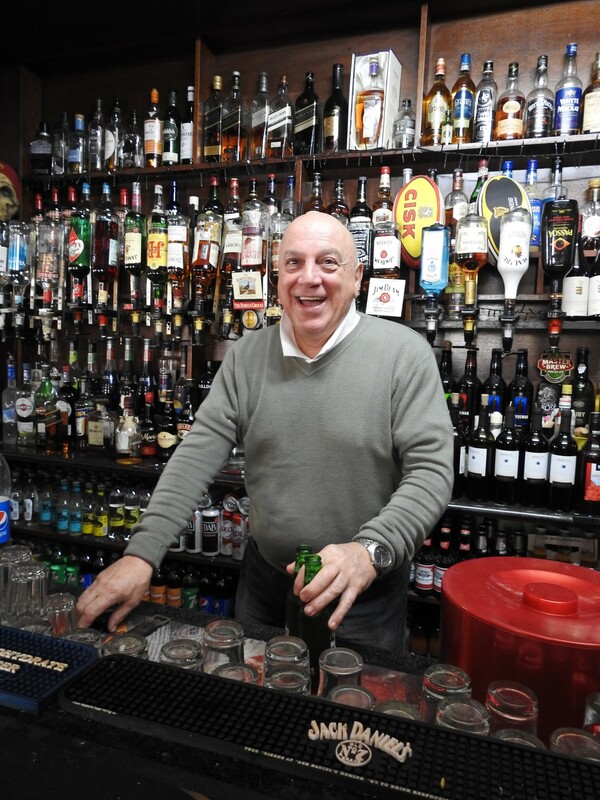 After enjoying a coffee at a nearby coffee shop, he opens his pub at 10:00am. Soon, the first clients will come in and he starts preparing some inviting appetizers. 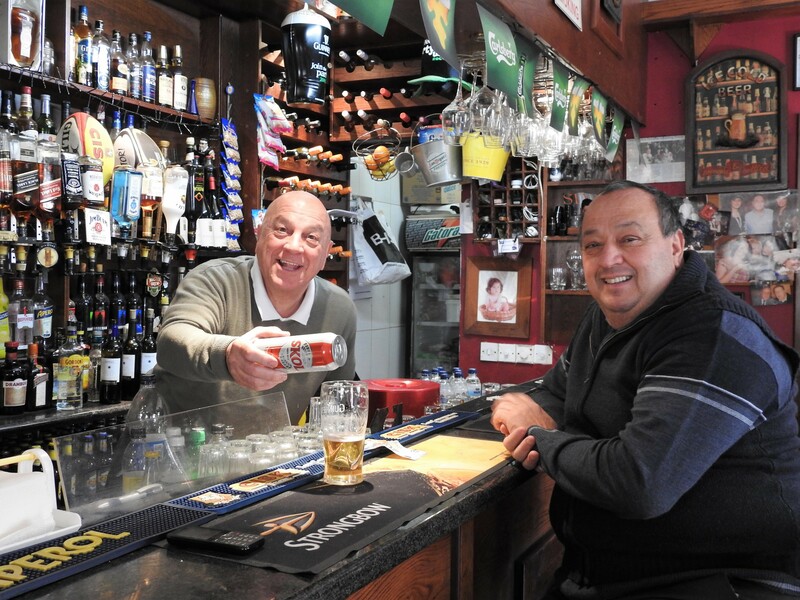 By now, his long experience and a good knowledge of his clientele have furnished him with an invaluable insight of who will be calling at his pub on each day and what he will need to prepare. 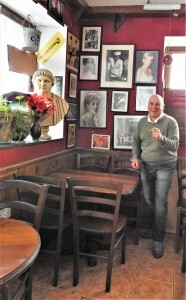 Whilst the younger generation prefer to seek out Keith’s company, the older clientele feels closer to Frankie. 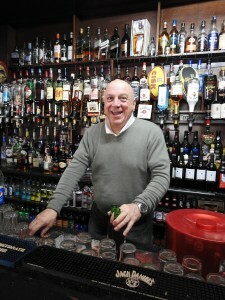 Culture change is also evident in the choice of requested alcohol and in the clientele’s attitude. 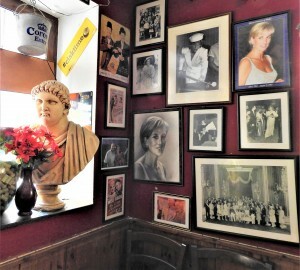 Several framed photos of Lady Diana keep a watchful eye over the pub’s customers. After her tragic death on 31 August 1997, Lady Diana’s fans were distraught. They frantically searched for anything which connected them to her. The Mediterranean Regional Centre for Traditional Chinese Medicine in Kordin, Paola offers a variety of services which aim to improve health and wellbeing. Based on Chinese medical practices which date to more than 2000 years of knowledge, the Centre is run by a team of Chinese doctors who promote an alternative medicine which is well beyond what conventional medicine is about. Besides providing medical treatments, the Centre acts also as a source of information for those who would like to learn more about these ancient practices. 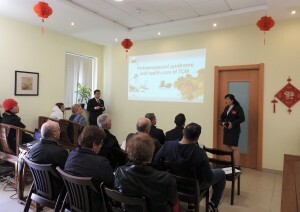 On Sunday, 25 March 2018, a series of three lectures which were organized at the Centre introduced the participants to the themes of neck problem therapies, moxibustion treatments, and the perimenopausal syndrome. Dr Lu discussed the widespread problem of neck pain and showed some exercises which one can use to avert or to alleviate neck pain. Dr. Zhang explained the benefits of moxibustion treatments and demonstrated how these are applied to patients. Dr Ma talked about women’s health care and focused on the perimenopausal syndrome which affects a wide section of the female population from the age of 45 to 55. She indicated some exercises which help to relieve stress and also improve memory. More information about the Mediterranean Regional Centre for Traditional Chinese Medicine and its services is available on Facebook or by calling on 2169 1799.